Septic tank issues crop up at inconvenient times for your home or business. Jones Plumbing & Septic Tank Services offers high-quality repairs and professional customer service. Our experienced technicians handle everything from simple maintenance to the installation of a new residential septic system. From Gainesville to Trenton and surrounding areas, Jones Plumbing & Septic Tank Services is your first call for residential and commercial septic issues! From routine maintenance to emergency repairs and complete system installation, the pros at Jones Plumbing & Septic Tank Services are the first call for all your residential and commercial septic service needs. 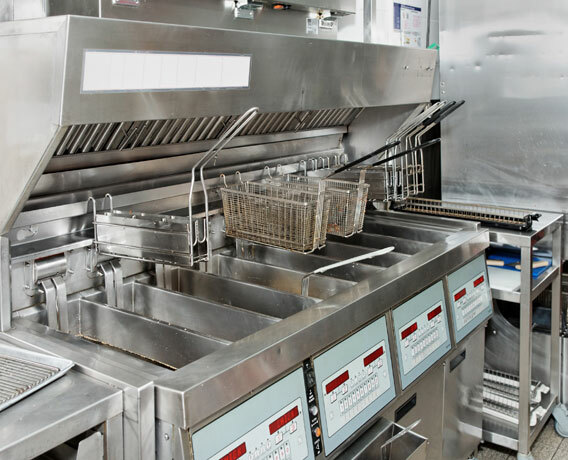 A dirty or clogged grease trap quickly slows down a busy food service business. Learn about how routine maintenance and emergency repairs from Jones Plumbing &Septic Tank Services gets your business back up to speed. Don’t have guests standing around for the restroom during graduation parties, company picnics, and other large gatherings. 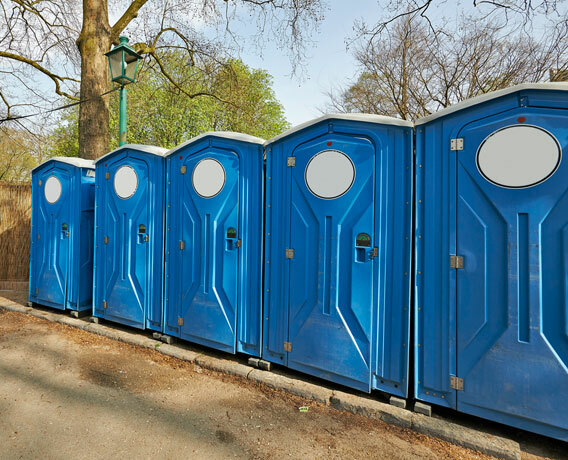 Find out how our portable restrooms can meet the needs of your next party and gathering at home or the office. 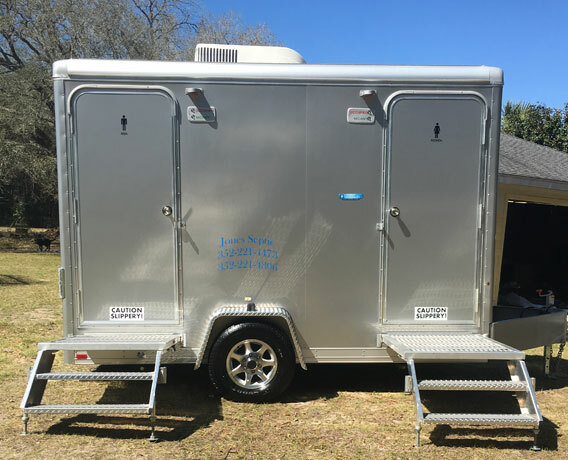 Restroom Trailers are sleek, modern restrooms that can be easily transported for every large event. Perfect for weddings, large parties and special events, our fully-stocked luxury restroom trailers will ensure privacy and convenience.